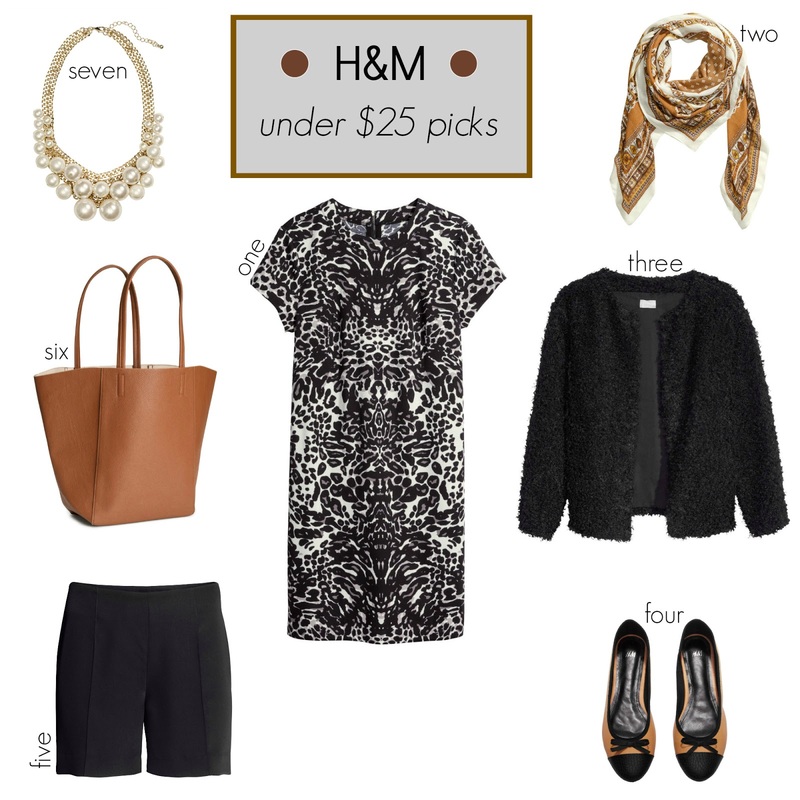 H&M: under $25 picks with Free Shipping on all orders! I'll be taking advantage of H&M's free shipping offer since it rarely happens and...wait, do I really need a reason to shop? So many new arrivals at the store combined with clearance deals make this a dangerous combo for my credit card. Here are some of the items I may be ordering. 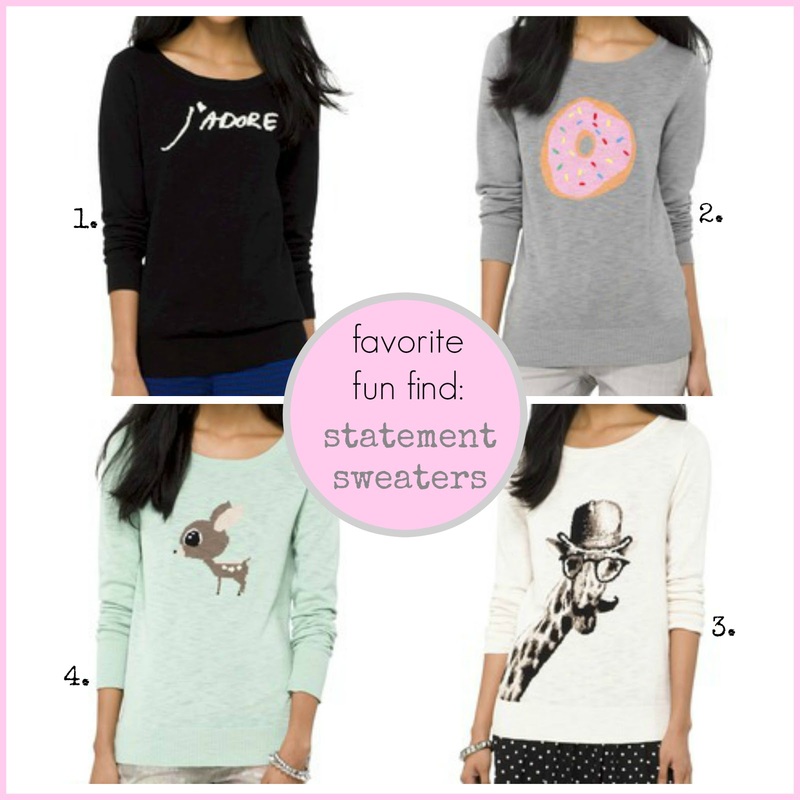 Favorite Fun Find: Target Graphic Sweaters Now Online! Last week, I posted a picture on my Instagram page of Target's new donut sweater. This cute Kate Spade look-for-less is now available online, along with a few other fun statements. While they do have more of a younger (i.e teen vibe for some), I can't help but wear my love of donuts loud and proud with some sprinkles on top...and maybe some skinny jeans and pink heels to dress it up a bit. 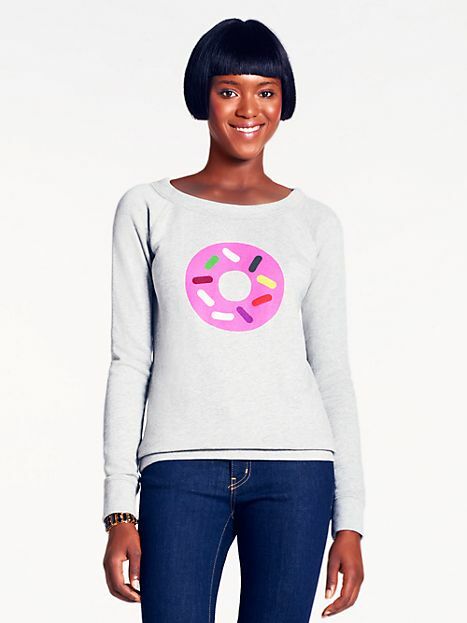 The Kate Spade x Darcel Donut Sweater from last year. Being surrounded by pre-fall merchandise definitely has had an influence on my color palette this week. Despite being in the middle of yet another heat wave, I find myself mixing fall colors with summer style. This is always the time of year that showcases olive greens, mustard yellows and browns to get people into a "back to school" mode, even for those of us who are well past our school days. If you are looking for the perfect tee, I have been obsessed with Madewell's pocket t-shirts and I already purchased the Target boots to wear now and later. I was looking for some nice solid shirts for work and came across this blouse (in a few colors thankfully) a few days ago and already want more to also wear with my denim uniform. Ps. I will finally be back to regular blog posts this week and hope you haven't all forgotten me after being away for much too long. 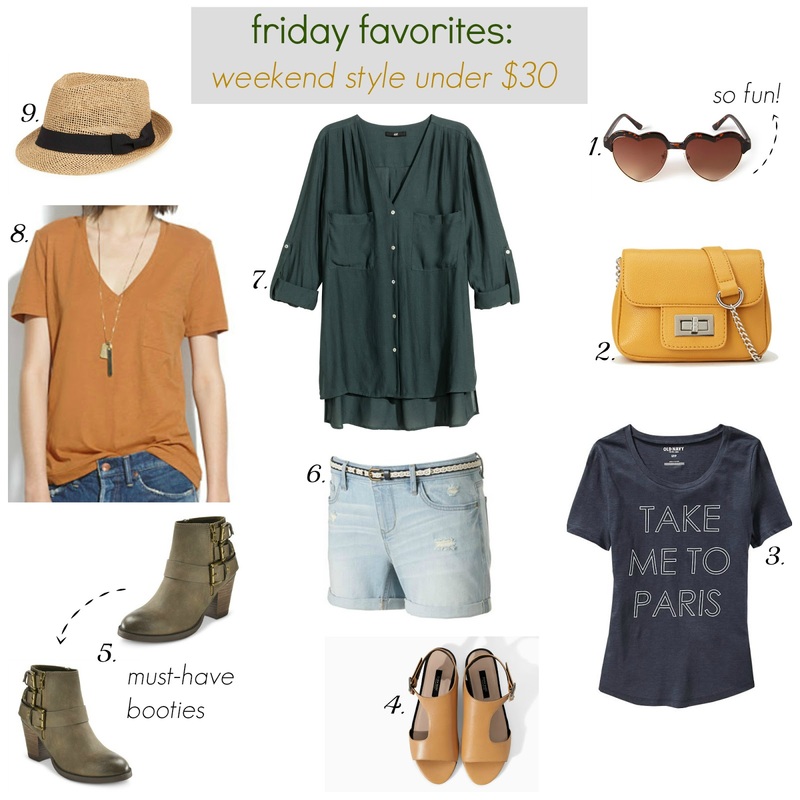 Friday Favorites - under $25 + Sales to Shop! 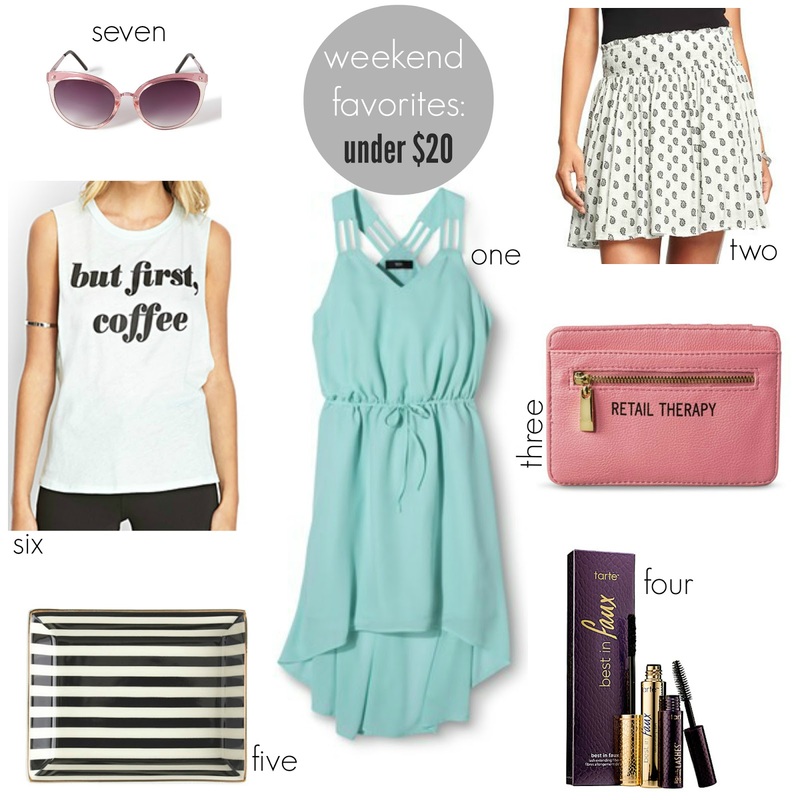 Since most of my time this week was spent at work, I couldn't help but choose a few of my favorites from Nordstrom's Anniversary Sale...so many affordable and chic accessories (the easiest way to update your look). I also spied new arrivals at H&M, Forever 21, and Target, but those said items are still not online (boo!). I have been waiting for those chambray shorts to finally go on sale, better late than never. Not much time for chit-chat fashionista friends, I have to be at work to kick off the first day of the public sale at Nordys, always so much fun and excitement! I promise I'll be back to regular blogging soon. Since Nordstrom's Anniversary sale started yesterday for early access (non-cardholders can shop starting July 18th), a few huge new sales also joined the must-shop list in time for weekend! If you are still looking to score some summer deals at clearance prices before the fall merchandise begins to hit the racks, these sales are for you. Right now, I'm already looking ahead to fall (even in 100 degree temps, ugh. ), so I'm choosing pieces you can wear now and still continue to wear most of them into the new season when paired with darker hues and layers. Are you still shopping for summer or are you waiting for new fall merchandise? 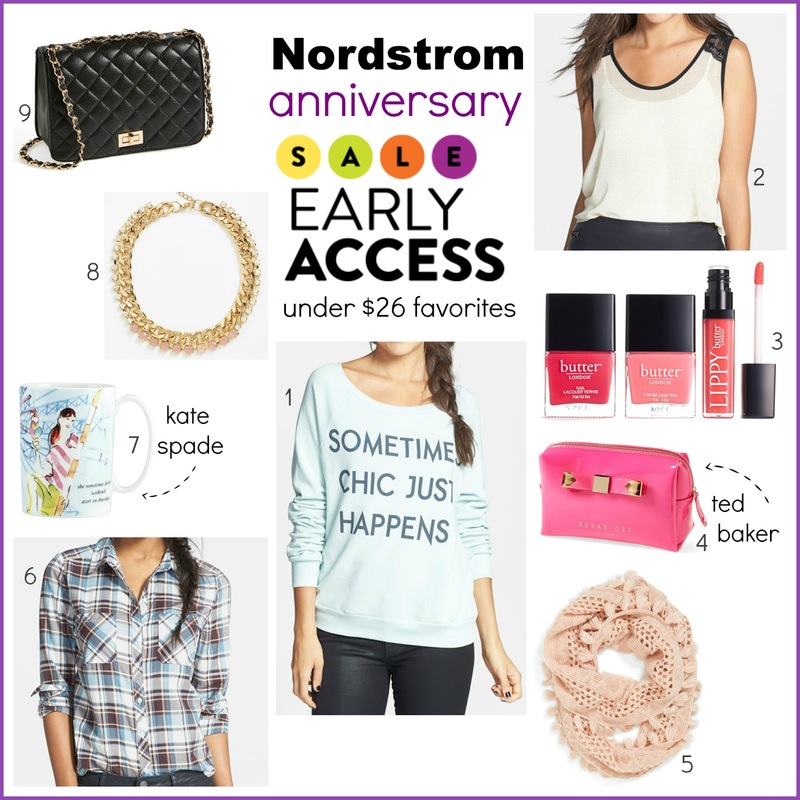 Shop the Nordstrom Anniversary Early Access SALE!! The legendary Nordstrom Anniversary Sale has started for cardholders today and it is one of the best one's yet! This event has become an annual tradition for fashionistas everywhere, you can shop brand new pre-fall merchandise in every department at discounted prices for a limited time. For the past few years, a special perk of being a Nordstrom cardholder guarantees you early access a full eight days before the public sale and allows you to shop behind the mysterious curtain. This is the sale you can find your favorite designer brands on sale and splurge (or invest depending on your shopping logic) on pieces. It's also the perfect time to stock up on basics and affordable trendy items that you can easily transition into your fall wardrobe. Yes, we are in the middle of summer, so it may be hard to even think about heavier clothes and boots, but trust me when I say you do not want to miss this once a year event. Shop Nordstrom Early Access Online or Shop directly from the Anniversary Sale catalog! *Prices go up August 4th. Another weekend has come and gone and while I spend a good portion of the holiday weekend at work, it just made me shop faster, Lol. One of the few frustrations of choosing my favorites is waiting until some of the items are available online after seeing them in person (I'm looking at you Target and Forever 21) and sometimes it takes me forever to locate that said item, que the tiny violins. So, here are some of favorites...and some of them "may" already be in my closet. The 4th of July weekend is one of the best times to scoop up summer clearance deals. While many people are enjoying the beach, bbq's and road trips, fashion hunters are finding the best sales to shop (hands up if that's you!). 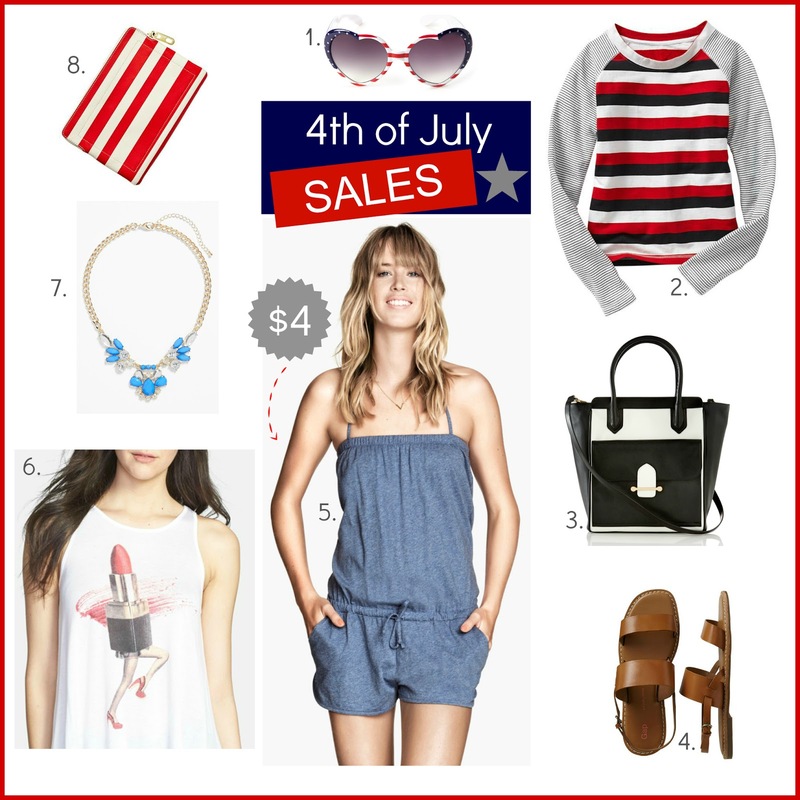 Here are the best stores to spend your money this Independence Day.